Running in Belfast, northern Ireland. Best places to run in Belfast. 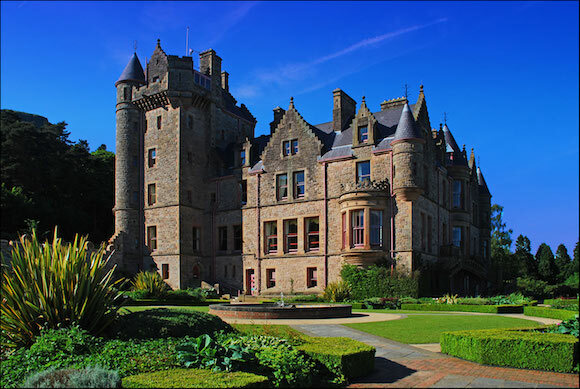 The largest city and capital of Northern Ireland, Belfast sits on the banks of the River Lagan on the east coast of Ireland. This is a historic city and industrial center whose recent history was marked by ‘The Troubles’, the conflict between the Catholics (republicans/nationalists) and Protestants (loyalists/unionists) that still define the city’s geography. 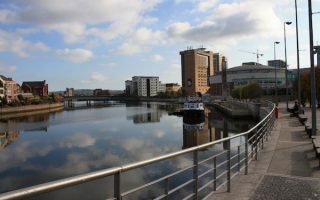 Running in Belfast is defined by this history, the River Lagan, and the hills northwest of the city. Belfast is a compact city and many of our favorite places to run are somewhat overlapping. 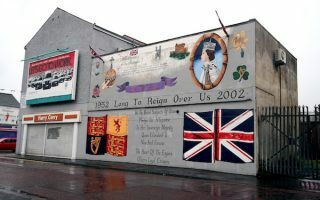 We’ve designed a 10k ‘runseeing’ tour of Belfast’s major sights, and a separate tour along Falls and Shankill roads that defined the conflict. There’s good running along the River Lagan, and a combo run in Ormeau Park and the Botanic Gardens. 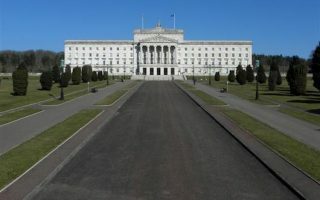 Just outside Belfast, we love the grounds of Stormont — northern Ireland’s government and Parliament buildings. 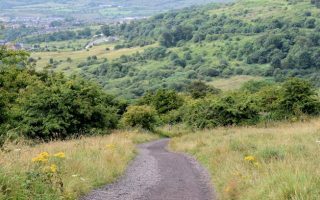 For some beautiful and hilly trail running near the city, head to Cave Hill Park or the Divis and Black Mountain trails. Belfast is a compact city and easy to get around. Most of our routes are easily accessible from downtown or the city’s good bus system. And be prepared for Belfast’s weather — often cool, windy, and wet or overcast. Plus, short days in winter! 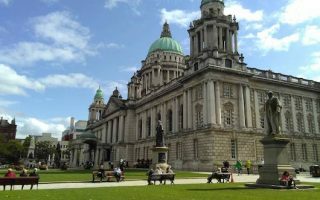 A 10 km 'runseeing' tour of Belfast, taking in many of the city's most important sites: section along the River Lagan, Gasworks, City Hall, shopping district, Central Library, St. Anne's Square, Ulster & Queen's Universities, Albert Memorial Clock. A historic running tour of west Belfast, where one can get a true sense of some of the conflicts that have divided the city. See the murals, memorials, and Peace Wall through Republican and Loyalist neighborhoods. 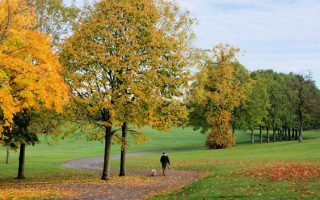 A pretty run through two of Belfast's signature green spots: Ormeau Park and the Botanic Gardens, each about 1 km from end-to-end. Our short run is 5.9 km and the longer run adds about 2 km using Stanmills Embankment. Good waterfront running along the River Lagan, with paths and embankments on each side with numerous bridge crossings. One can do a loop of nearly 10 km, with options to vary the distance. Home to Northern Island Government Buildings and Parliament, these are beautiful grounds for running. A grand, wide, 1.2 km 'approach road' to Parliament flanked by grand trees, landscaped paths, and woodland trails. Wonderful, hilly trail running on open heath land only a few miles west of Belfast. More moderate is the 6.7 km (4.2 mile) Black Mountain Ridge Trail loop. The 4.8 km (3 mile) Black Mountain Trail is shorter but more challenging. Belfast landmark that makes for a scenic but challenging 7.2 km run/hike. 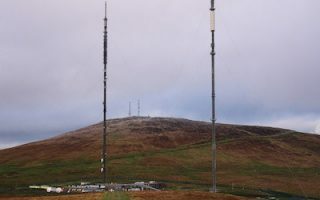 Only 5 miles north of town, the well waymarked loop winds through woodland to a plateau, and along a grass path to the top of the hill and McArt’s Fort. Belfast’s weather is milder than expected given its latitude, owing the the gulf stream. Summers are mild and pleasant for running, with average highs in the 18-20C range (high 60s) and coolish nights. Winters are chilly but not cold, with average January high temperatures in the mid-40s (6C), with about 30 nights a year falling below freezing. Snow is infrequent. Always have a layer and be prepared for precipitation, which falls on nearly half the days (but only totals 33″ annually). Belfast is a fairly compact city. For the best access to running, we recommend staying in the main downtown area, inside the A1 and south of Victoria Square, which will be in good proximity to the River Lagan paths, Ormeau Park, and Belfast’s important sites. Belfast has a burgeoning running scene, with a good selection of centrally located stores to buy running gear. There are two independent running-centric stores: Pure Running, and Athlos Triathlon, both centrally located. Sports Direct, Gotto Allsports, and Cotswold Outdoor all have great running gear. In Antrim to the north of Belfast are Asics and Nike outlet stores. Belfast has a particularly active Parkrun community, with 7+ weekly events. See this map from Belfast Running for locations. Belfast Running is a great resource for group events, races, clubs, and other resources for running in Belfast!